There are a number of provocative conjectures that are interesting to explore casually, such as the Feasts of Moses,(3) but there seems to be a strange virus in the air that frequently converts a colorful possibility into a consuming obsession for specific dates. The Bible does, however, describe in surprising detail the scenario of events that will be climaxed by the Second Coming of Christ. Most of these are directly linked to the seven-year period known as the "Seventieth Week of Daniel. "(4) In fact, this unique period is the most documented period in the Bible. Many of us are convinced that it involves events that occur after the Rapture of the Church. It is because of the ostensible preparations for these events, which are appearing on our horizon, that we can recognize the approach of the end of the church age and the threshold of these post-rapture events. 1. The Rebuilding of Babylon. The literal destruction of Babylon as a major world center is described in Isaiah 13-14 and Jeremiah 50-51. Since this has not happened yet (as detailed in these passages), it is interesting that Saddam Hussein has now begun what would appear to be a key element in the final climax (detailed in The Mystery of Babylon Briefing Pacakage). See our Briefing Package, The Feasts of Israel, which explores some of the prophetic implications. Daniel 9:24-27, highlighted as the key to end-time prophecy by Christ Himself. See our Briefing Package The Seventy Weeks of Daniel for a detailed study of this remarkable passage. 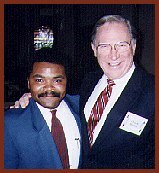 Chuck Missler is an internationally recognized authortiy on Bible Prophecy, He is Founder and President of Koinonia House Ministries. Chuck is also a member of the Pre-Trib Research Study Group, and He has written many books on Bible Prophecy.